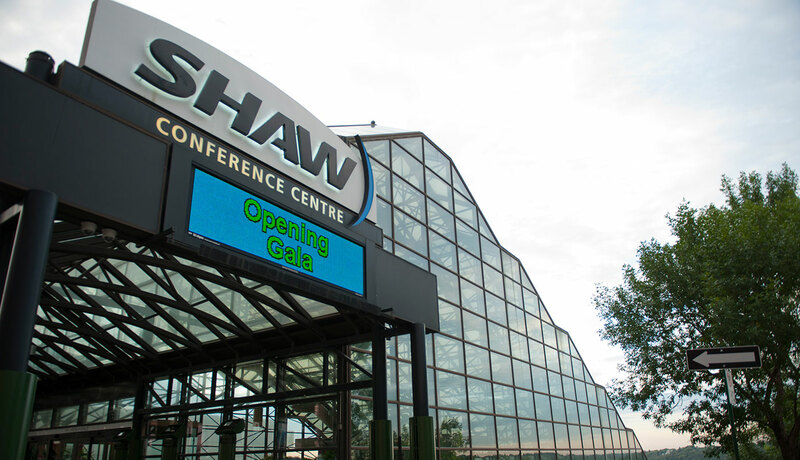 The Edmonton Convention Centre is a unique structure built into Edmonton’s beloved river valley in 1983. When the centre was first constructed, it was revered for its architecture and design. Now, at 32 years old, it is difficult to find an angle or shot that hasn’t already been captured. That is until Chris Tse asked us if he could photograph the building. As Chris began to release his pictures on social media the number of new likes, comments, and shares on his posts were exceptional, growing from a few hundred to over one thousand per picture. We quickly realized that he had given Edmontonians a new view of their convention centre; each picture was more unique than the last. Chris presented this building in a way it hasn’t been viewed for years. Intrigued by his creativity, we asked Chris – Why the Edmonton Convention Centre? Chris was able to capture the deceptive height and depth of the building that is not often seen until you walk up the 10 stories of intertwining stairs (an achievement for anyone!). 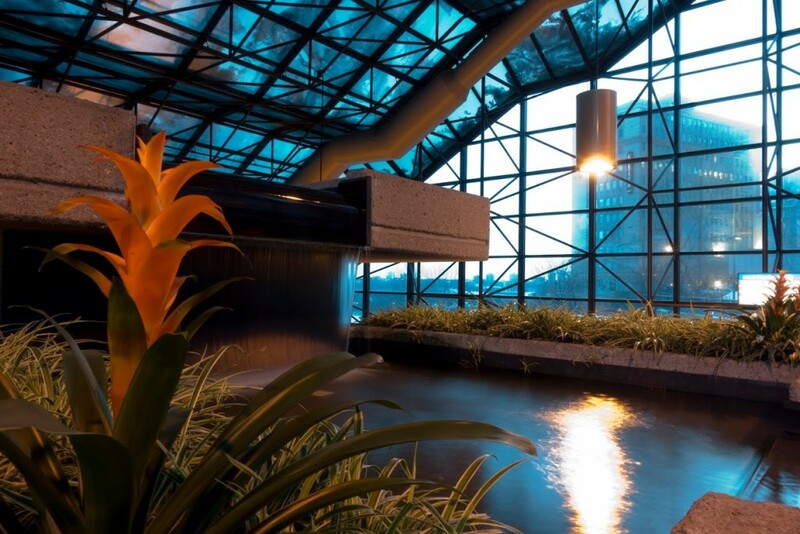 The atrium, filled with thousands of different plant species, is overlooked when quickly passing through. 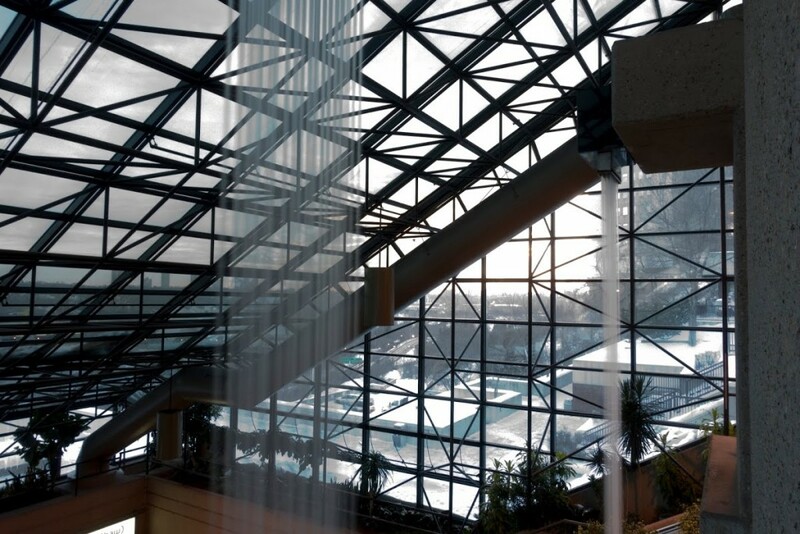 The glass ceiling allows the sky to seep into the scenery; every thunder storm, sunrise, snow flake and sunset can be experienced from within the building. Thanks to Chris, SCC guests have a renewed appreciation for the subtleties of the centre. 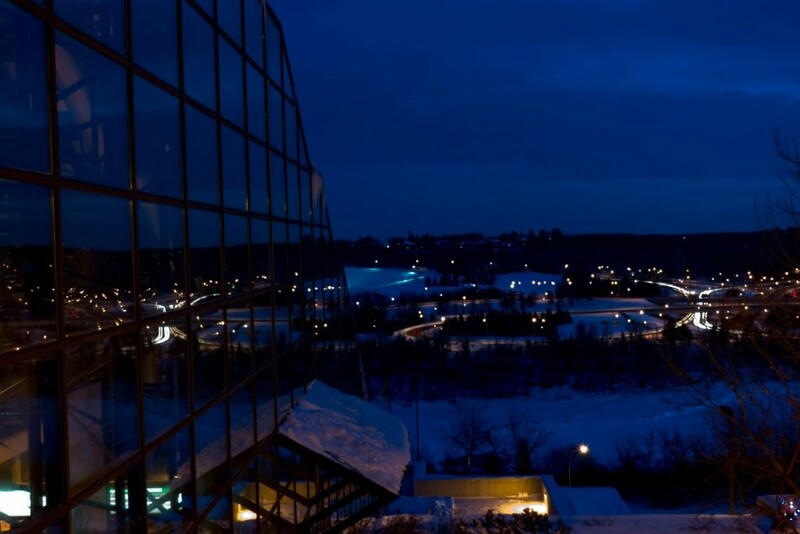 We hope the next time you’re here for a special occasion or meeting that you’ll take a moment to enjoy the surroundings of a building that’s embedded (literally) into Edmonton’s history. Chris was born and raised in the Edmonton area. He is one of Edmonton’s fitness gurus, co-owning Blitz Conditioning with Brett Kirkland. Chris has a passion for community and says he owes the success of Blitz Conditioning to supportive Edmontonians. Photography is a passion of his that has morphed into part of his profession. He is a principle marketer at Blitz and considers sharing these community stories a part of his responsibility. His hobby has led him to discover different parts of Edmonton, capturing its magic through a lens. Visit Blitz Conditioning for more info or follow Chris on Instagram and Twitter.